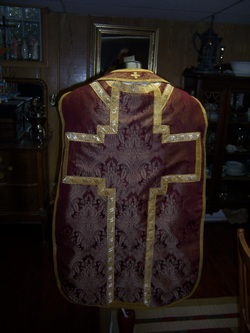 Stunning Chasuble made brand new. 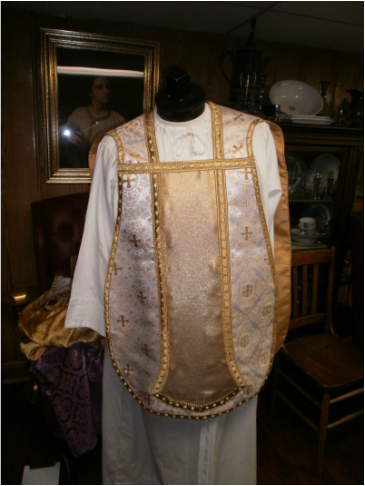 These Vestments are sold and returned to use either after being stored, lost, in antique stores or simply tucked away in drawers. 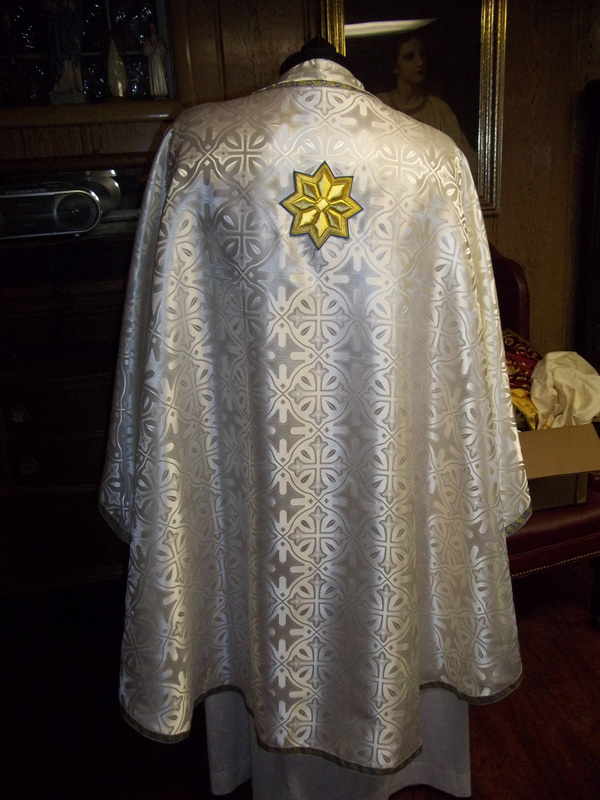 Some are new commissioned creations. 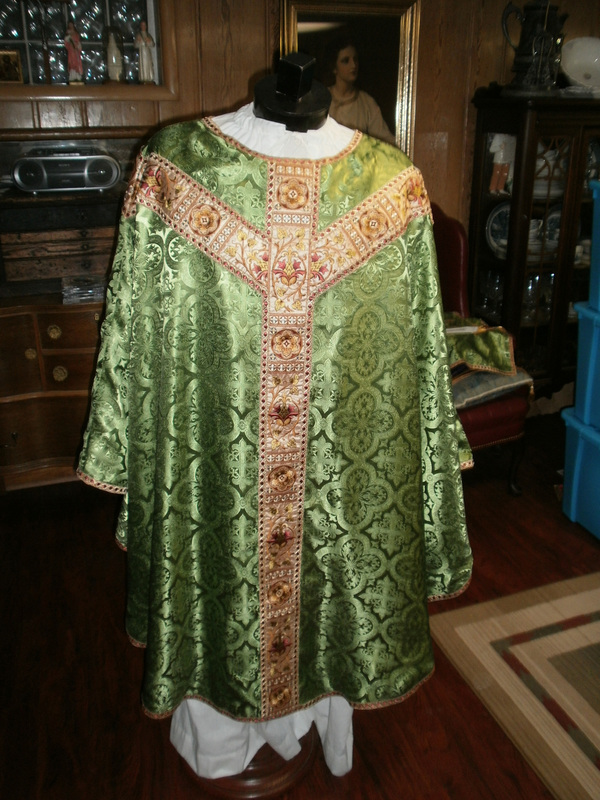 Constructed for Cathedral Of St Patrick -New Orleans, La. 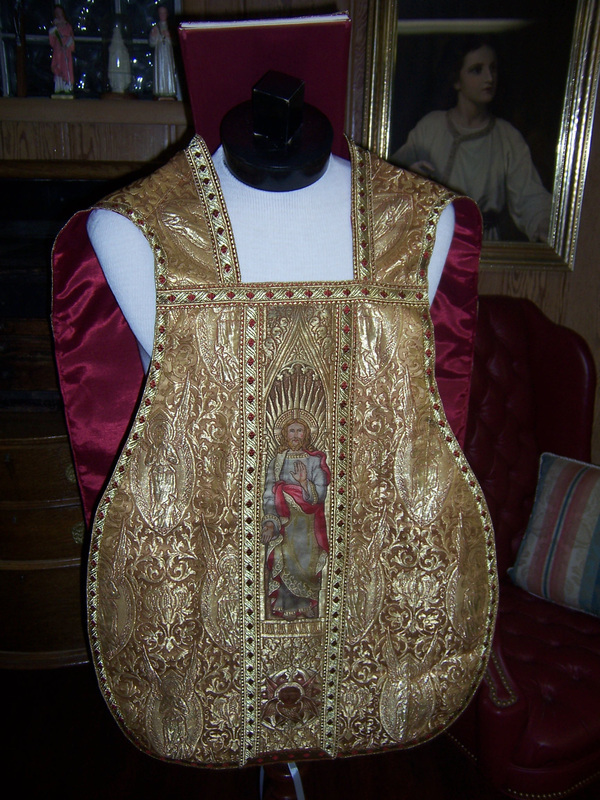 Made with antique pieces. 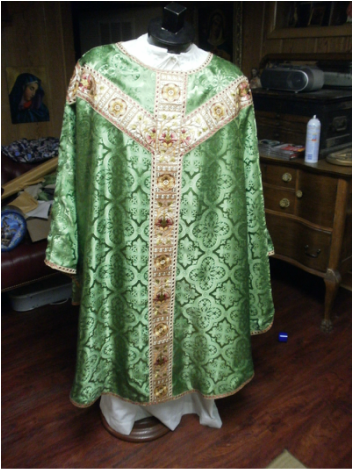 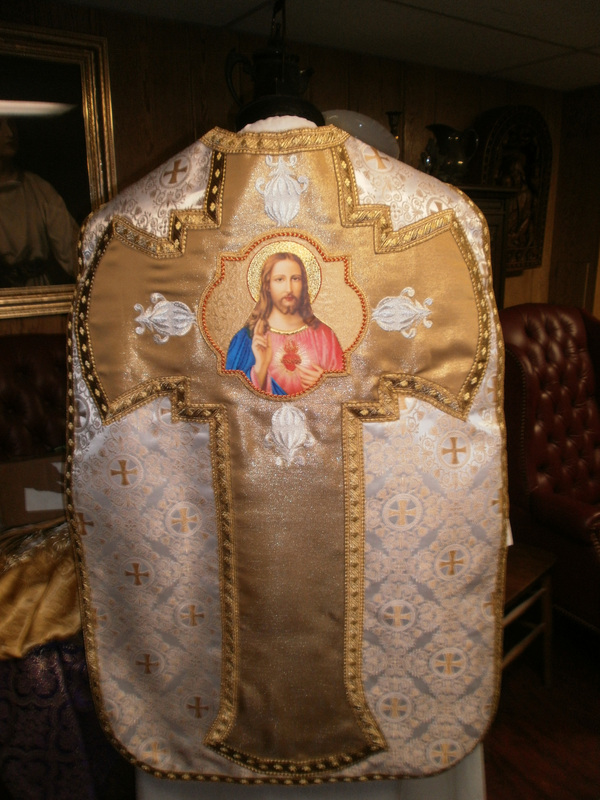 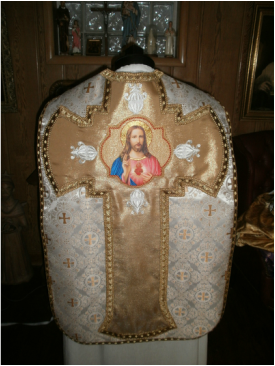 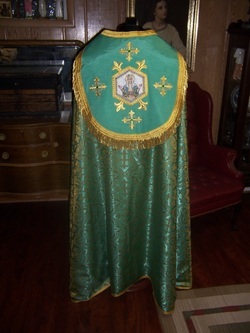 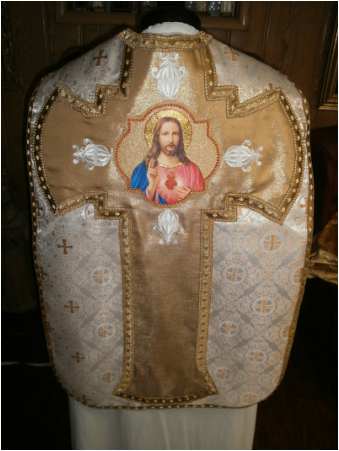 Original Vestment was destroyed and the entire piece was reworked with all new trim, new fabric and file lining. 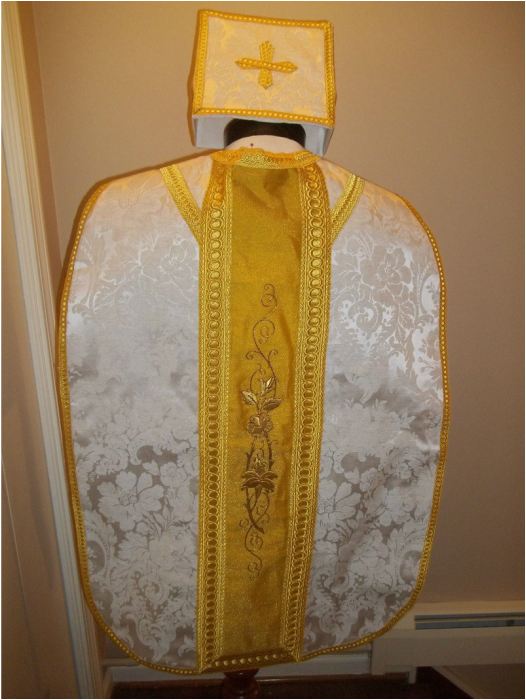 A complete Solemn Pontifical set featuring Our Lady was made for a Solemn Pontifical Mass at St Vincent De Paul using high quality materials. 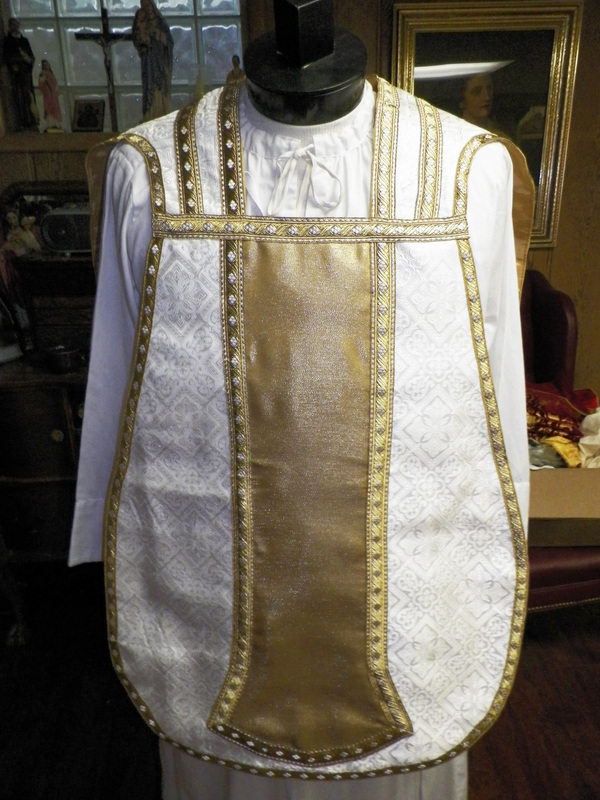 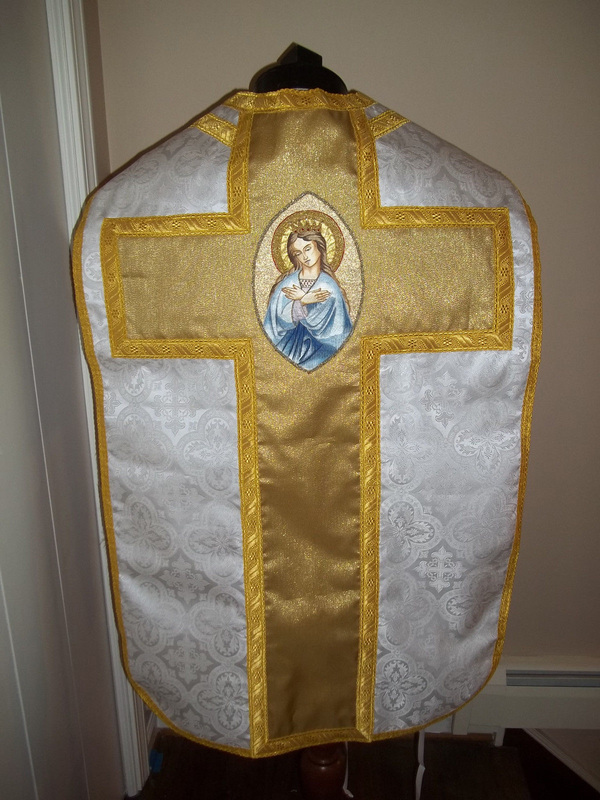 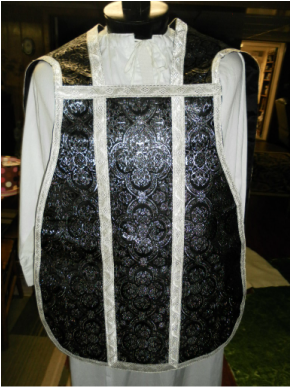 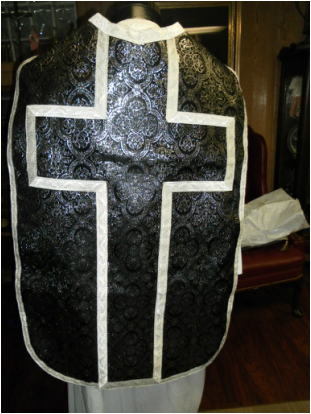 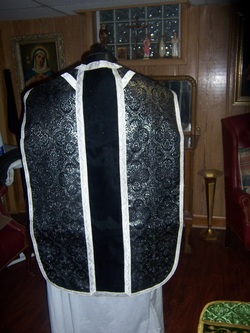 A brand new weighted vestment made for the Assumption Catholic Church. 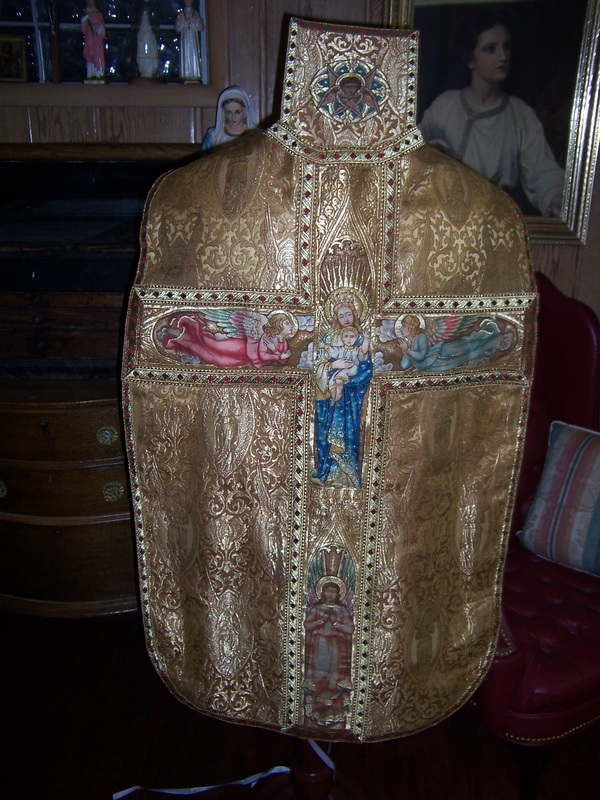 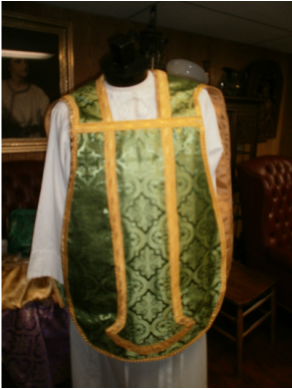 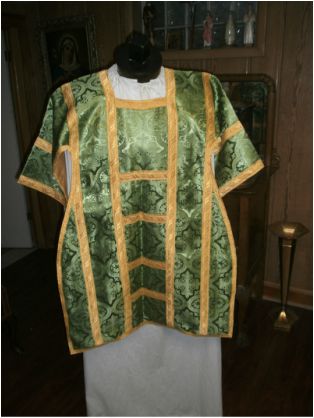 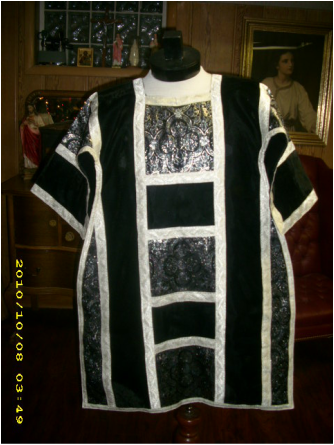 Weighted chasuble. 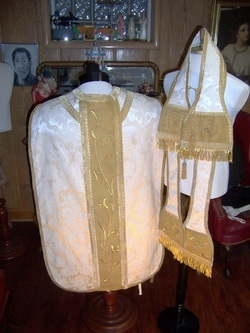 All 5 pieces. 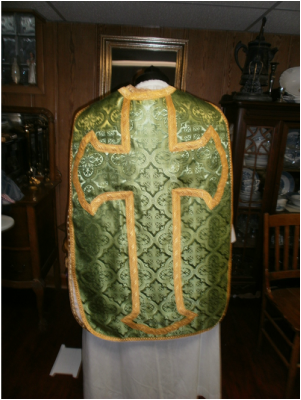 This beautiful chasuble was made with the highest quality materials and delivered to St Rose Catholic Church in Kansas City. 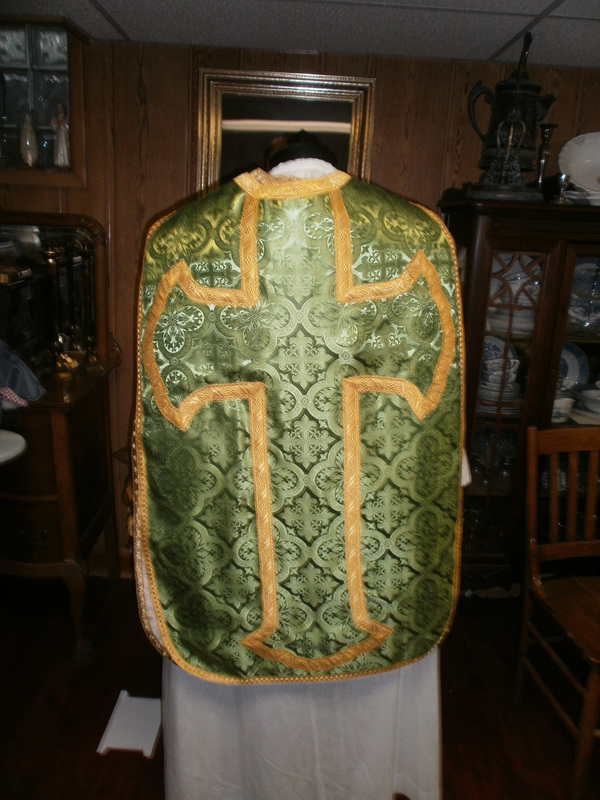 This chasuble was made from old vestments that were slightly damaged. 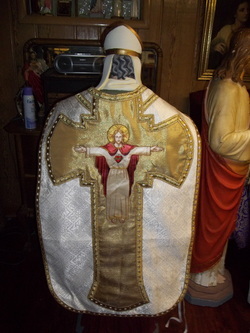 A very nice chasuble was made from the parts on new fabric. 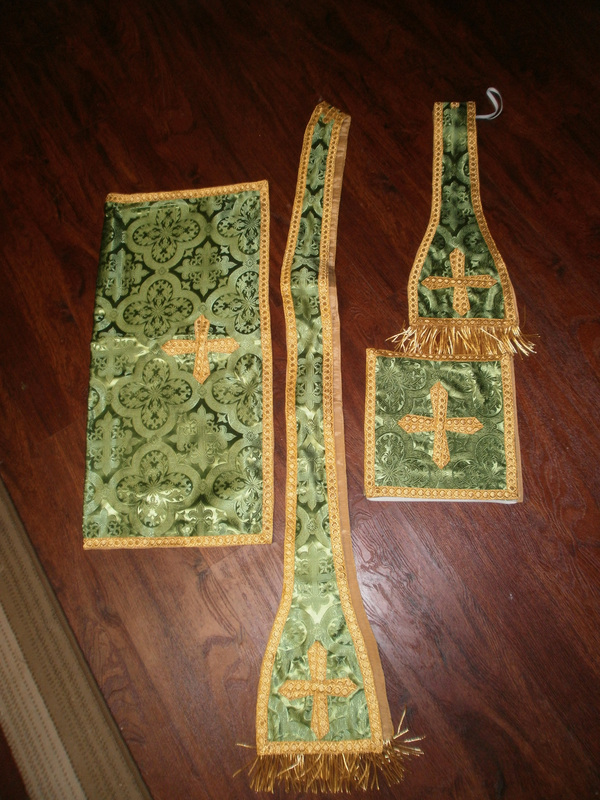 This Violet solemn set was constructed for advent for the Catholic Church of St John the Apostle in New Jersey.